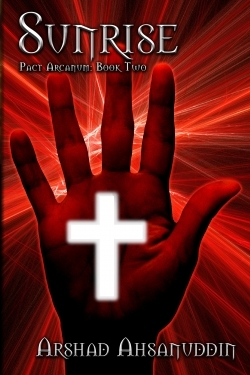 According to author Arshad Ahsanuddin, his Pact Arcanum series is written in a nonlinear form. The events in Sunrise, the second book in the series, take place before the events in Sunset, the first book in the series. This may be confusing to some readers, but it doesn’t diminish the entertainment value of the books or the force of the series’ narrative. Sunrise contains some misplaced modifiers, a couple of awkward sentences, and inappropriate verb tense changes. However, the characters and story line are so interesting and exciting that the errors are barely noticeable. What is unforgettable about Sunrise is how artistically the author, a hematopathologist, transcends genres to create a seamless marriage between horror, science fiction, fantasy, and gay literature.